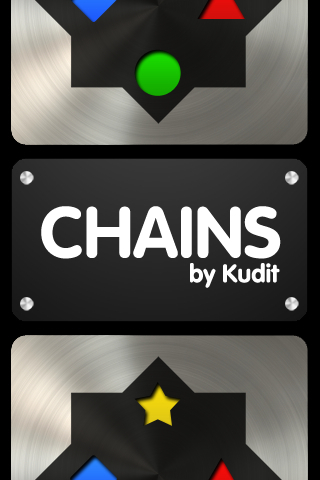 Award-winning developer Kudit today announced the release of Chains, a game that requires the perfect mix of thoughtful strategy and luck! Chains combines the chaining of Othello/Reversi and the matching of a jigsaw puzzle. 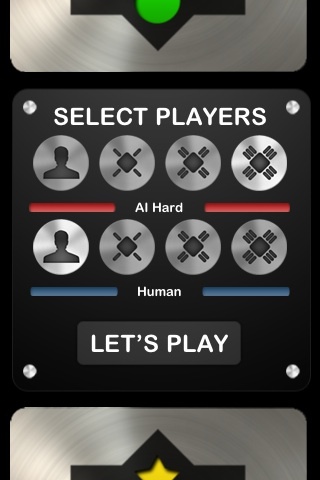 Opponents take turns placing tiles so they fit together, and tiles can be captured by matching symbols on them. 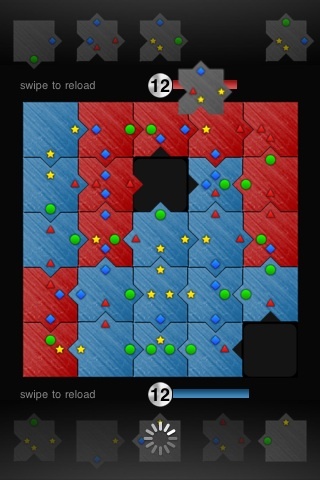 When the board is full, the player with the most captured tiles wins. Two can play Chains, or one can play against any of the three computer difficulty levels. The game is turn-based, and most games take only two to eight minutes to complete. Perfect for those boring meetings or waiting in line. Chains is available today on the iTunes App Store for $1.99. Get it on the iTunes App Store! If you like the sound of this game but currently don't have an iPhone, then why not look at some O2 UK iphone 4 reviews to see what you can get. The iPhone is currently a very popular phone to have and you see why when you think you can get games like this. What's more the games are such great value and really help you to get the most from your phone. Share it and Win a $100 iTunes Store Gift Card! You can retweet Kudit’s Twitter sale announcement for a chance to win a $100 gift card on the iTunes Store! RT @Kudit is giving away a $100 USD iTunes gift card to celebrate their new #iPhone App Chains! http://chains.kudit.com Retweet to enter! You may retweet and enter the contest once per day. Contest ends 30 days after the US App Store release of Chains by Kudit. 1st place winner will be chosen randomly and receive a $100 USD iTunes Gift Card via email. Winners will be notified by a Twitter reply and direct message. Winners will have 10 days to reply with a valid email address or another winner will be chosen at random. Gift Cards are only valid for the US iTunes Store. To sign up for Twitter click here.